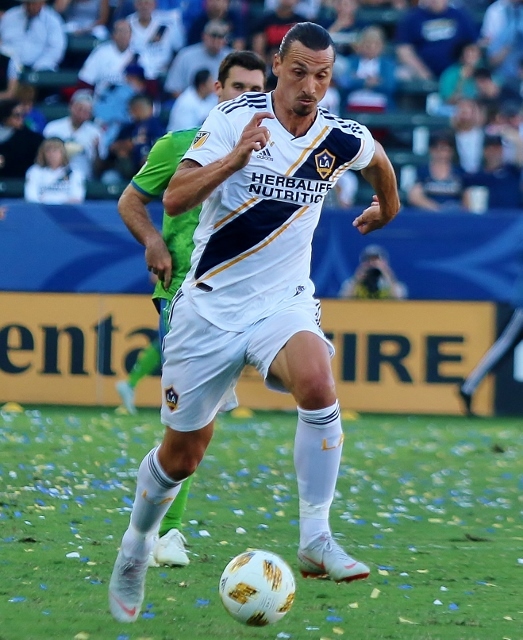 (Carson) – Zlatan Ibrahimovic scored ten minutes into the game and it turned out to be all the Galaxy needed in a 3-0 win over Seattle Sunday at StubHub Center. 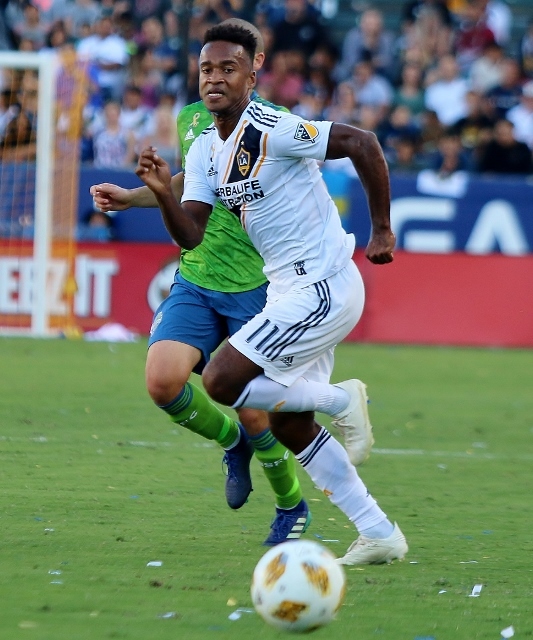 The Galaxy received a free kick when Seattle’s Brad Smith pulled down Ola Kamara in the box and Ibrahimovic buried the penalty shot in the 10th minute for a 1-0 lead. In the 17th minute the Galaxy had another opportunity but Romain Alessandrini’s free kick hit Seattle goalkeeper Stefan Frei in the foot and bounced away. LA dodged a bullet in the 24th when Christian Roldan found a wide open Will Bruin near the Galaxy net, but Bruin’s header flew wide left. In the 34th minute a rocket by the Sounders’ Nouhou Tolo off of a rebound sailed high over the net. The Galaxy took a 2-0 lead in the 40th minute when Ola Kamara punched one by Frei right in front off of a nice feed from Alessandrini. There were two minutes of additional time in first half but the Galaxy took the two goal lead into the break. Seattle outshot the Galaxy 7-6 in the first half but none of them were on target. Three of LA’s six shots were on target. 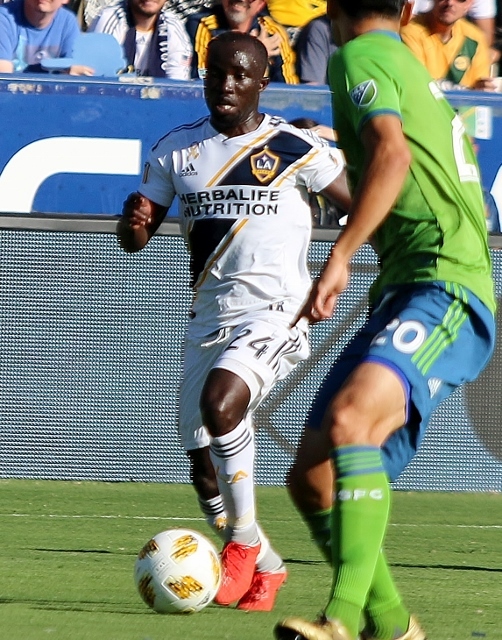 Emmanuel Boateng tapped one just across the line as the ball was rolling around in front of the net to make it 3-0 Galaxy in the 52nd minute. David Bingham kept the Sounders scoreless with a nice save off of a drive by Raul Ruidiaz in the 67th minute. The Galaxy controlled the pace of the match the rest of the way and was never really threatened by Seattle as they rode to the victory. Two minutes of additional time were added but nothing else came across as the Galaxy got the shutout. The Galaxy snapped a six game winless streak with the victory. Their last win was July 29th against Orlando City FC at StubHub. LA improved to .500 at 11-11-8 overall but more importantly it picked up three points in its quest to make the playoffs under Interim Coach Dominic Kinnear, who replaced Sigi Schmid. With just four games remaining the Galaxy now has 41 points, three points behind Seattle which has 44 for the final spot. The Sounders are 13-11-5 on the season. Next up for the Galaxy is a home game next Saturday night against the Vancouver Whitecaps. Vancouver is also in the playoff race as they are just one point behind the Galaxy.